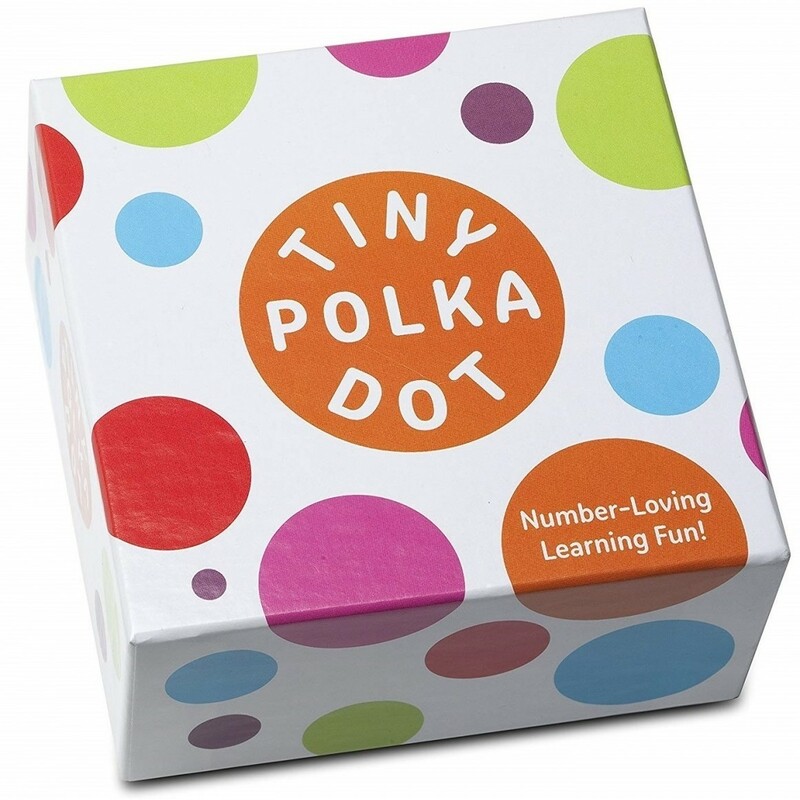 The creators of the popular Prime Climb turn their expertise in teaching math to younger learners with Tiny Polka Dot! 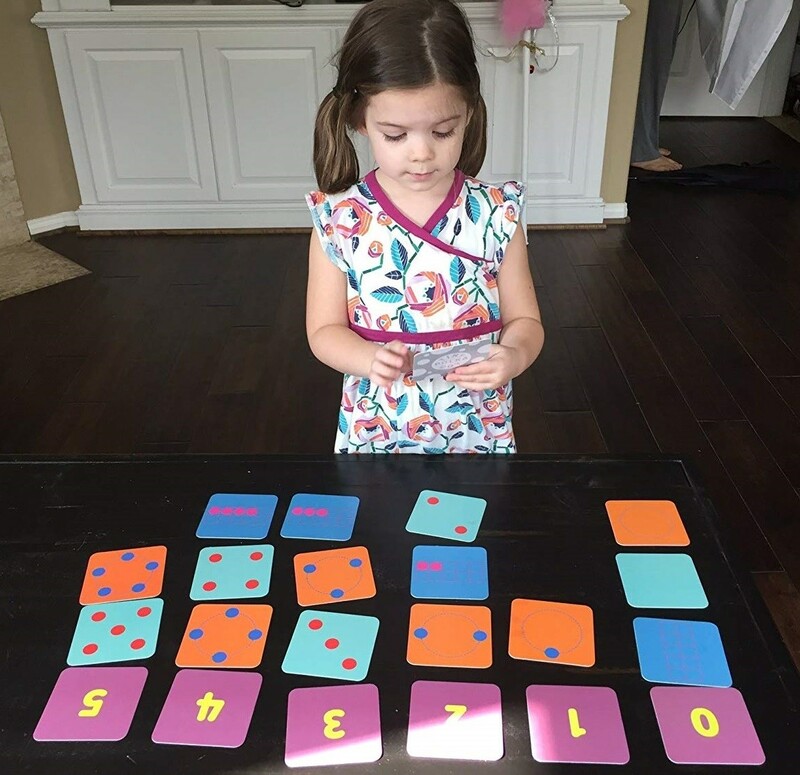 The colorful card deck includes 16 easy-to-learn games that playfully teach math, from counting & early numeracy to arithmetic & logic. 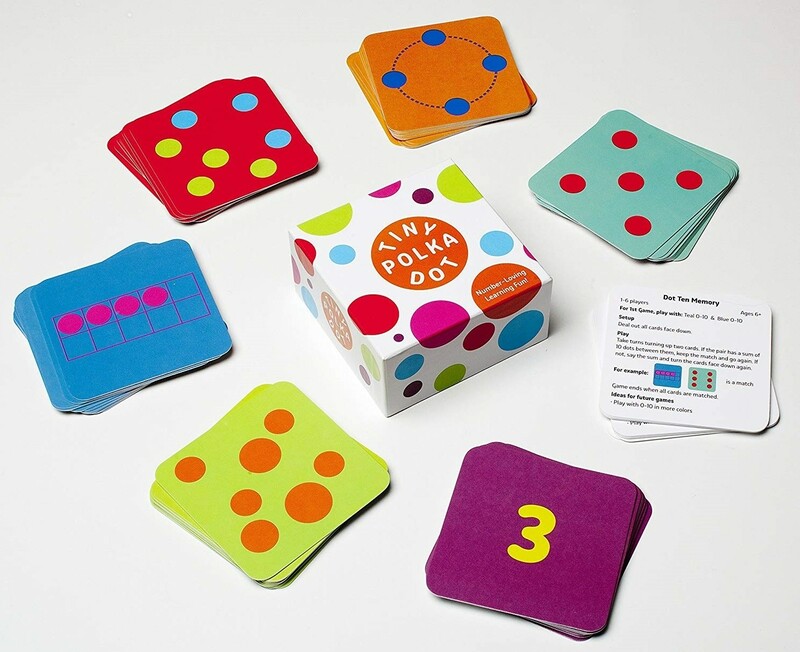 This box set for 1 to 6 players starts with simple counting games like Match the Dots, where kids match cards that represent the same number, and advances to games like Dot Ten Memory, where you have to try to match pairs of cards that add up to ten. 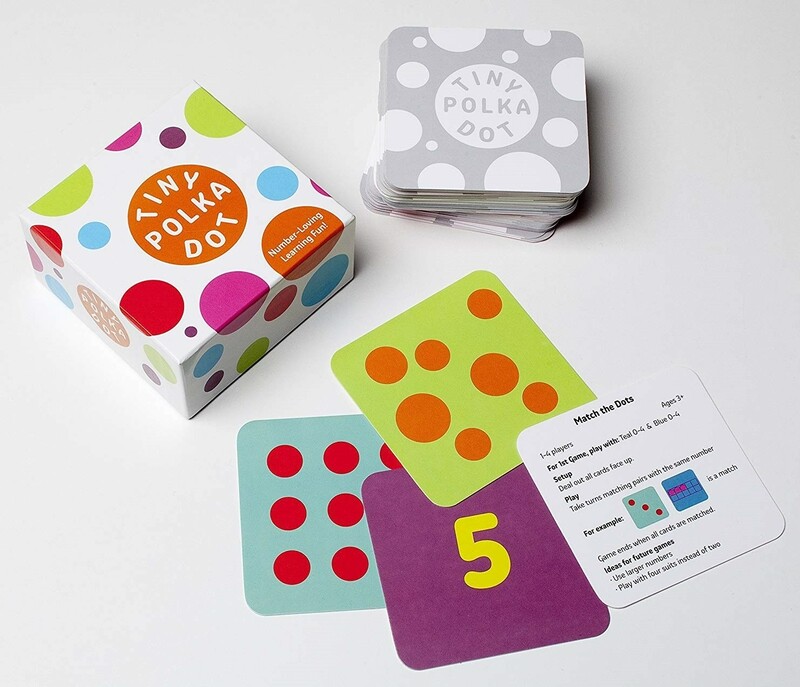 Mathematician-designed, teacher-approved, and made in the USA, Tiny Polka Dot is winner of the "Brain Child" award from Tilliwig Toy Awards, the Creative Child Game of the Year and the National Parenting Center Seal of Approval. It's the perfect way to nurture your child's love of math through play!